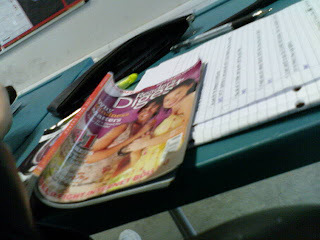 READER DIGEST'S SO BORING . 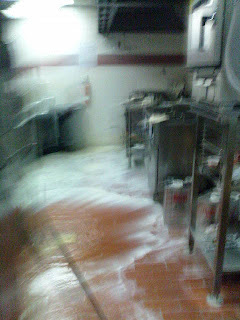 This stupid cook yesterday spilled the oil on the floor & made the whole place like SnowPalace . 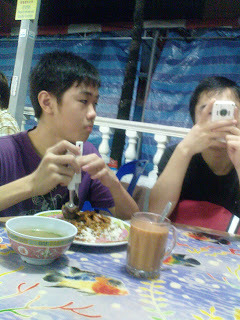 ME,QIANYI,siewting all got caught . && lala was lucky she didnt got caught . siewting at last still go back sit down . went down to general office with MUTHU pig . shaiful gave us the new skirt and asked us to change . the skirt was right down underunderUNDER my knee . guess what ? i folded 3times then look like the usuall me , shalini'siao said that . and qian yi , the first time she fold skirt , hahaha . as for fahtin , she was quite small sized , the skirt actually gonna reached her Ankle . darn cute la (: then she folded about 4times , LOL. after school wenta find shaiful , he's like purposely wasting our time . uncle , me needa go do Ic know not . rushed as fast as i could to reach home .. PATHETIC BAAEB , need wait 1month then can get . they sabo-ed again , left me one cashier . how could you ppl ! i sabo also la . wth . 4 days never work alr , my closing was like sheet . i realised i havnt do alot things when i reached home . stupid kor still irritate me . so stress , shall stop here .